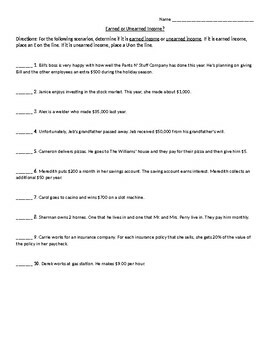 This activity allows students to read real-life situations and determine whether the scenario describes an example of earned income or unearned income. This could be used as an assessment or as review. It could even be used as a pre-assessment.